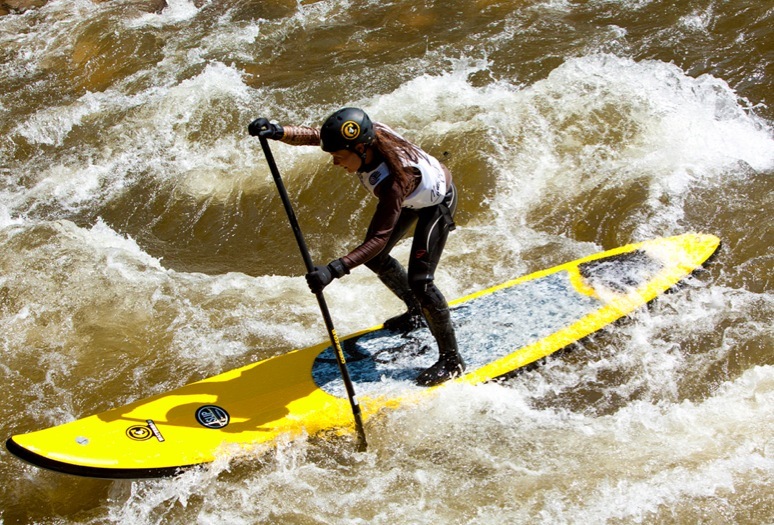 C4 Waterman is stoked to have had such a successful and exciting time at the 2011 Teva Mountain Games in Vail, Colorado. With the combined efforts of 12+ team riders from Hawaii and support staff, everyone actively participated in several weekend events that included the Maui Jim SUP Sprint presented by C4 Waterman and the inaugural SUP Cross event. We also hosted a wild pool party with our fantastic co-sponsors Maui Jim and Korbel California Champagne. Our newest team rider, Mariko Strickland, swept the women’s division on both Saturday and Sunday taking first place in the SUP Sprint and the SUP Cross events. Returning champion, Noa Ginella, also excelled at the Teva Mountain Games taking first place in the SUP Cross event on Sunday and third place in the SUP Sprint on Saturday, right behind Charlie MacArthur. MacArthur, better known as C-MAC finished 2nd in the SUP Sprint and 3rd in the SUP Cross event. 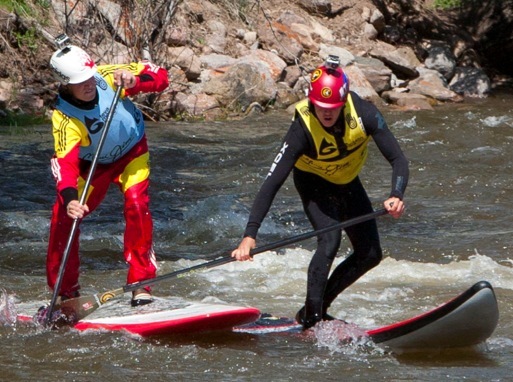 In 2010, Noa took first place in the inaugural SUP Sprint race. Also inspiring was the huge influx in interest for river SUP. This year, over 75 participants from around the world competed in the SUP Sprint race, more than double the amount that competed last year. Even several seasoned kayakers took the plunge down Gore Creek on SUP boards. Stay tuned for more exciting news and watch out for the new SUB9SERIES series coming soon from C4 Waterman Inc. The C4 Waterman ohana would like to thank all of our team riders that participated in bringing the aloha spirit to the mountains. Mahalo: Todd Bradley, Christian Bradley, Noa Ginella, Jen Koki, Ryan Levingston, Charlie MacArthur, Jenny MacArthur, Mariko Strickland, Kalani Vierra, and Alika Willis. The dominant board of choice, ridden by some 65% of competitors, was C4 Waterman’s fleet of rigid inflatable stand up paddle boards. Both Noa Ginella and Mariko Strickland won on the industry acclaimed 12′6″ River Runner and several other team riders piloted the recently released 10′0 Rapid Rider. For more high-resolution photos, full coverage and a recap of the Teva Mountain Games check out our blog, our Facebook and Twitter pages. If you’re looking for a new board, be sure to visit our online webstore open 24/7.